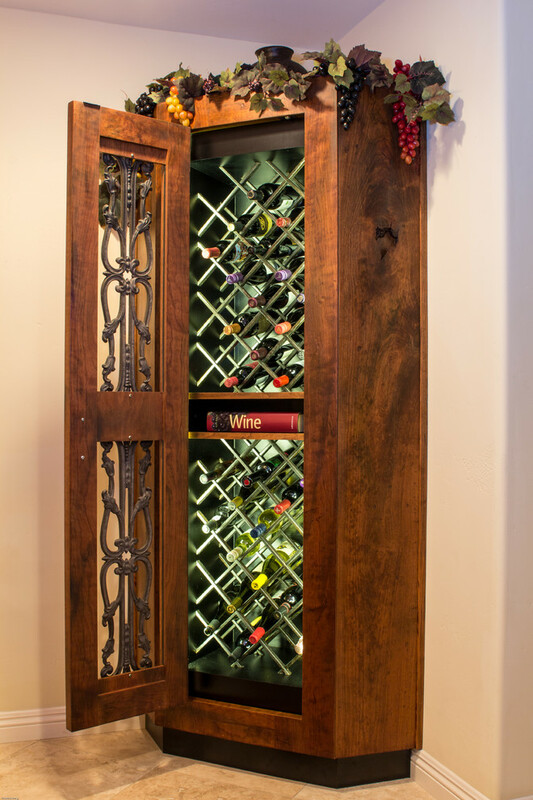 This wine cabinet was made with cherry wood that had been distressed and stained with a goldish transparent stain. 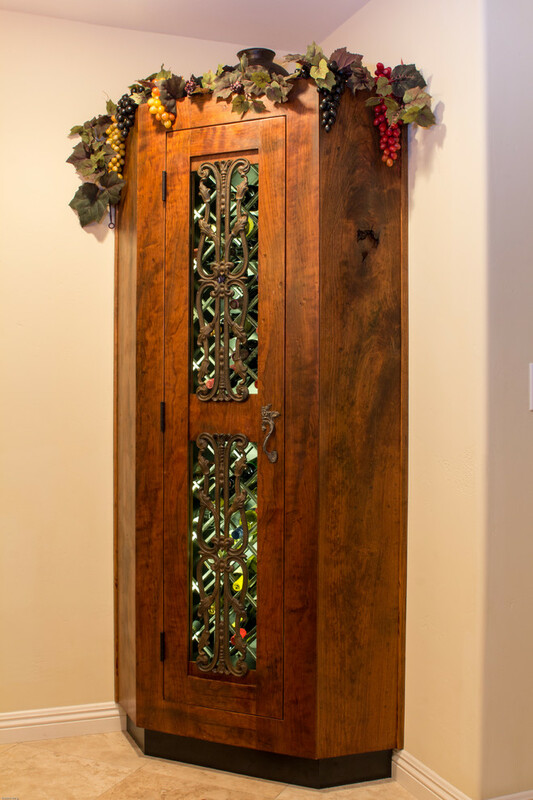 Door has wrought iron in each of the open panels and a handle to match the wrought iron. 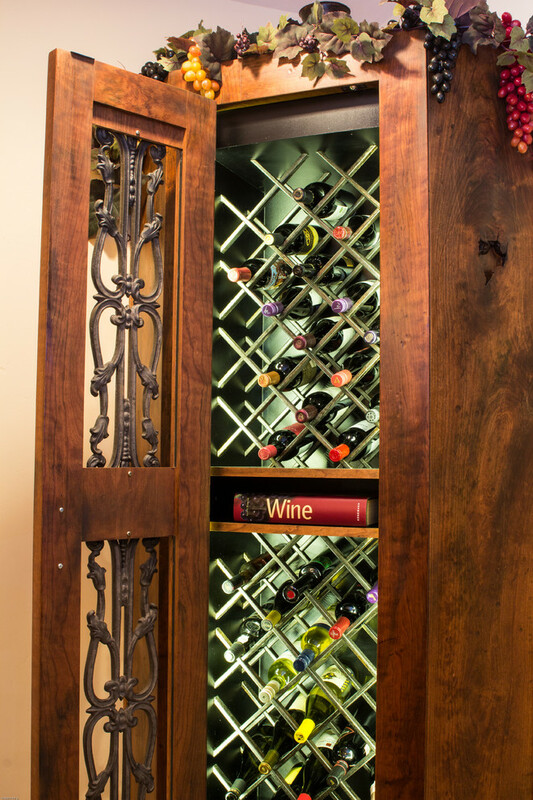 Interior is made with black melamine with the edges trimmed with cherry wood. A string of LED lights run up each length of the interior. 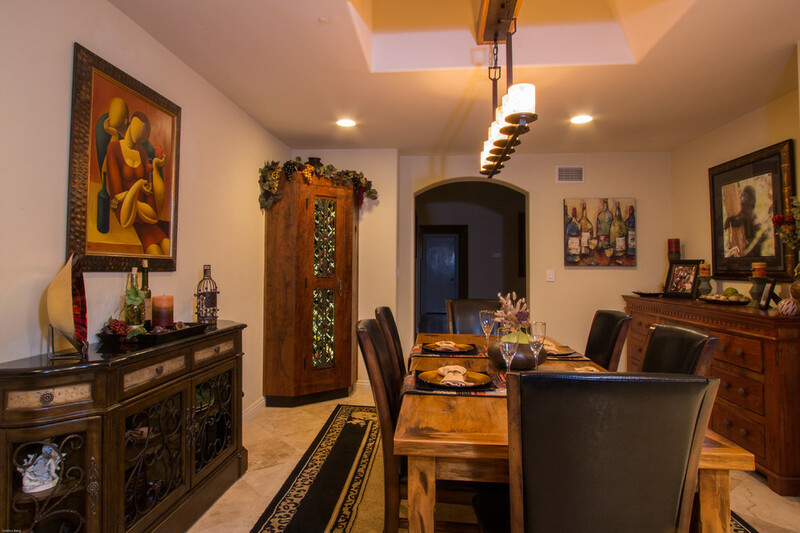 The cabinet is custom made and can be made again to fit your desired size and wood selection.